Many Homeowners Still Qualify For Mortgage Relief A federal program known as HARP could save homeowners who qualify to refinance an average $200 a month. But many who hear about it are suspicious, says Federal Housing Finance Agency chief Mel Watt. 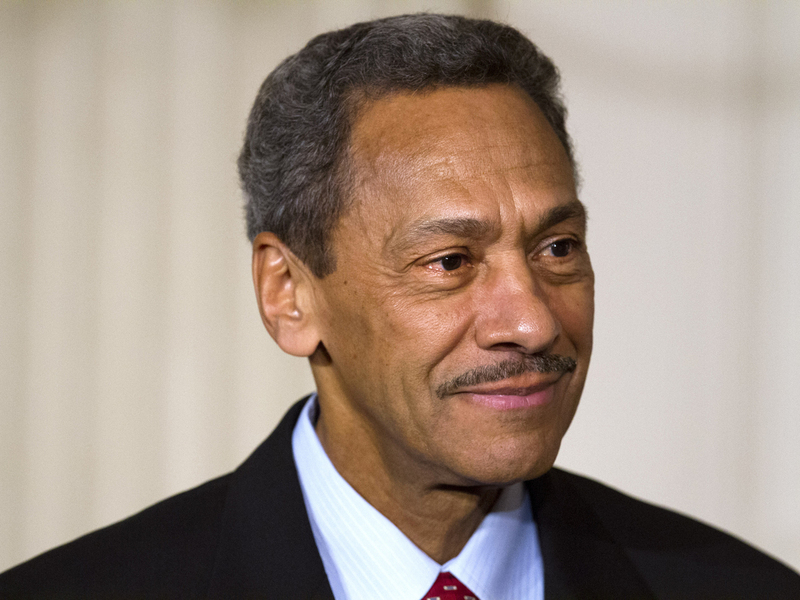 Mel Watt, director of the Federal Housing Finance Agency, says many homeowners who could qualify to refinance their mortgages under HARP are suspicious. At a recent town hall event at Ebenezer Baptist Church in Atlanta, former U.S. Rep. Mel Watt laid out the numbers: The Home Affordable Refinance Program, known as HARP, saves people who take advantage of it an average $200 a month. Several million Americans have refinanced their home loans this way. But the program could still reach a lot more people. Watt recently became the director of the Federal Housing Finance Agency and oversees the HARP program. He says many Americans who hear about it think it sounds fishy. He says if you're current on your mortgage and "somebody calls you on the phone and says, 'You are eligible to refinance your mortgage and save $2,400 a year,' what would you think?" With all the scams out there, Watt says, many people think "this cannot be true." But Watt says it is true. And he's speaking to community leaders in cities around the country to encourage people to apply. So far he's gone to Chicago and Atlanta. He'll be heading in coming months to Miami and Detroit. Watt says there are "800,000 more families nationwide that would benefit from the HARP program if they would just step forward." Bob Walters is the chief economist with Quicken Loans. His company was aggressive early on in trying to qualify homeowners for the program after it was launched five years ago. He says interest rates have been falling again in the past few months, which means homeowners who qualify can save more money. He also says it's not just that homeowners think the program is too good to be true. In many cases, he says, there's another reason many people aren't taking advantage of it. "You get denied maybe once or twice, and then all of a sudden you say, 'I can't qualify,' " Walters says. Walters explains that in the first couple of years that HARP was in place, the rules about who could qualify excluded a lot of people. Chris Mayer, a housing economist at Columbia University, was critical of HARP for this reason when it was launched. "You have to give it a C-minus in terms of what the government did in the early years of the program," he says. Mayer explains that the idea behind HARP is pretty simple: The government guaranteed millions of home loans. It was on the hook if the loans went bad. And many of those homeowners were stuck unable to refinance into lower-interest mortgages. It didn't cost the government anything if it allowed those people to refinance at the current lower market rates. And that would prevent some foreclosures, which would save taxpayers' money. But Mayer says that in its first couple of years, HARP could have reached a lot more people if it was better designed. "There've been people who lost their homes to foreclosures that were otherwise preventable," he says. Mayer says he's done calculations based on data from a Freddie Mac study that suggest "500,000 people could have stayed in their homes." Since HARP was launched in 2009, there have been several efforts to improve the program. And under the current rules, Mayer says he now gives HARP a B-plus or an A-minus. Quicken's Bob Walters says "because the program has changed so much and gotten so much more flexible, the opportunity for people to get approved is much higher." But he says often "they don't know that." Getting back to those scams Watt referred to, Walters says homeowners should know it doesn't cost anything to find out if they qualify for HARP. Any reputable lender can tell a homeowner that free of charge. To be eligible, borrowers need to have originated their loan on or before May 31, 2009. The program will continue to be available for loans with a loan-to-value ratio above 80 percent. Borrowers must be current on their mortgage payments with no late payment in the past six months and no more than one late payment in the past 12 months. Borrowers should contact their existing lender or any other mortgage lender offering HARP refinances.